Jaitley said the Congress party is capable of dragging the judges into an unsavoury controversy and make them controversial "should their judicial opinion not appear favourable in the cases in which the Party has an interest". Finance Minister Arun Jaitley Tuesday said the rejected Congress-led impeachment motion against CJI was filed on untenable grounds to intimidate the Chief Justice of India and other judges of the highest judiciary. On Monday, Rajya Sabha Chairman M Venkaiah Naidu rejected the impeachment notice given by opposition parties led by the Congress against CJI Dipak Misra, saying it lacked substantial merit and the allegations were neither “tenable nor admissible”. 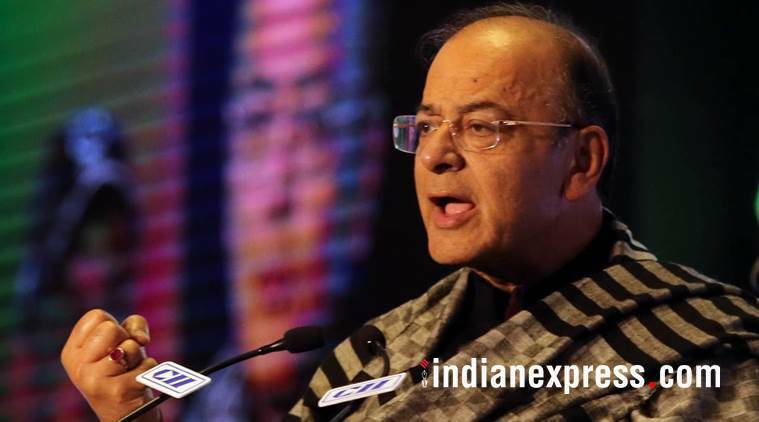 In a Facebook post, Jaitley said an impeachment motion has to be filed in the rarest of rare cases where a “gross misconduct” has been indulged in by a delinquent judge during his tenure. There has to be strong and hard evidence to substantiate this, he said, adding that hearsay and rumours are not a substitute for evidence. “The present impeachment motion has been filed on untenable grounds. It has been filed for collateral purpose to intimidate the Chief Justice of India and other judges of the highest judiciary,” said, Jaitley who is also the leader of the Rajya Sabha. In the post, ‘Why the Malafide Impeachment Motion was bound to fail?’, he said the Congress party is capable of dragging the judges into an unsavoury controversy and make them controversial “should their judicial opinion not appear favourable in the cases in which the Party has an interest”. “To any political analyst it was clear that the impeachment motion would never get support of two-third majority in both Houses of Parliament. The Congress Party knew this. Its object was not the passage of the Motion but intimidation of India’s judiciary,” Jaitley said. Referring to the indication given by the Congress that it would now challenge the order of the Rajya Sabha Chairman in the Supreme Court, the senior BJP leader said Parliament is supreme in its own jurisdiction and its process cannot be subjected to judicial review. Jaitley noted that a very large number of eminent lawyers are now Members of Parliament and most political parties have given nominations to some of them since their value, both in court and Parliamentary debates, is significant. “The incidental impact of this has been a growing tendency of lawyer Members to drag intra court disputes into the parliamentary process. “The misconceived motion for the impeachment of the Chief Justice of India is just one example of this,” said Jaitley, who himself is an eminent lawyer.